If you don’t get the results you expected, remember that setbacks are only temporary and quite often they can become the stepping stone to wonderful, new opportunities. Here I offer examples of how overcoming disappointment in sport can be applied to coping with disappointment on A-level results day. Hardship brings mental toughness: British rower Katherine Grainger CBE won the silver medal in rowing events in three consecutive Olympic Games before winning the gold medal at London 2012. She won silver again in the Rio 2016 Olympic Games, aged 40, overcoming disagreements with her teammate, accusations of coach bullying, and failure to qualify in an event. She also managed to fit in attaining a PhD between the 2012 and 2016 Olympic Games. Overcoming adversity can lead to greatness: American competitive swimmer Michael Phelps is the most successful Olympian in history, with a total of 28 medals. He suffered from ADHD and went through the pain of his parents’ divorce when he was a child. He actually wrote in his autobiography, ‘when I was in school, a teacher said I’d never be successful. Things like that stick with you and motivate you’. 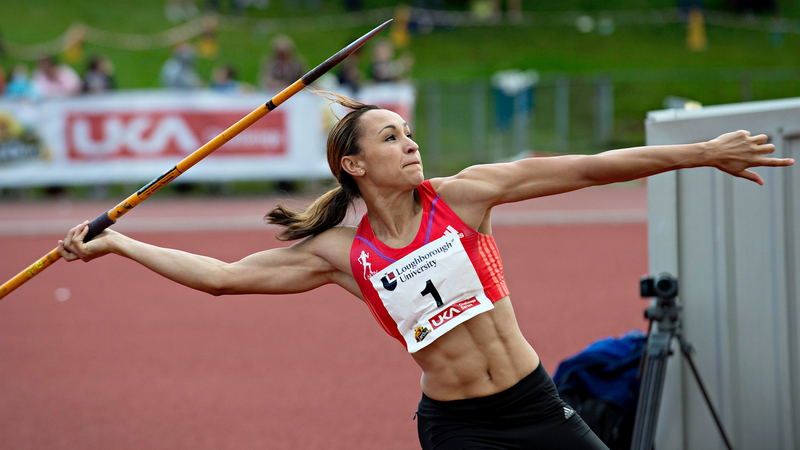 Talent needs trauma: British track and field athlete Jessica Ennis-Hill CBE was a favourite to win a medal in the 2008 Beijing Olympic Games before injury ruled her out of competing. She went on to win gold in London 2012 and also came back from having a baby to win the 2015 World Championships. I too have suffered my fair share of disappointment but I didn’t let it define me. I applied to come to Loughborough University to study the BSc in Sport and Exercise Science in 1995 but I got rejected. I took ‘a year out’ to train for the 1996 Olympic Games and to reapply to study at Loughborough University, but I was rejected again (on my 19th birthday) and failed to qualify for the Olympics two months later. I was broken and bitterly disappointed, but without those experiences I wouldn’t have gone on to get a first class honours degree from Cardiff Metropolitan University, get a distinction in my MSc degree from Loughborough University, and then be offered a lectureship position here. Our own research* at Loughborough University suggests that adversity and trauma are actually needed by athletes to realise qualities within them that they otherwise wouldn’t have realised. So, if you’re able to overcome hardship and disappointment, you’ll have an advantage over others later in life who have not had to experience that. Dr David Fletcher is the Director of Research Degree Programmes (Sport Performance) and the Director of Postgraduate Taught Studies. He is also a member of the School’s Research Committee, Learning and Teaching Committee, Postgraduate Research Committee, Postgraduate Programmes Committee, and Enterprise Advisory Group. He is a former Programme Director of the MSc Sport and Exercise Psychology and a former Director of the Sport Psychology Service.